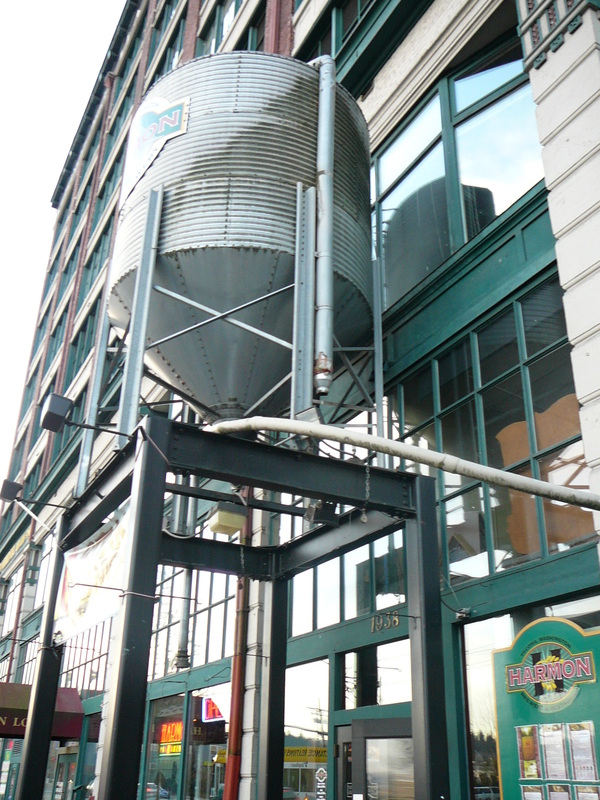 A staple in the Tacoma, WA brewing scene, Harmon Brewing Company has been crafting beer in Tacoma’s historic University District since 1997. I have been a frequent Harmon customer since moving to “the Sound” four years ago and upon each visit Harmon always has something new and exciting on tap! During this visit I was lucky enough to sample some of the winter and spring seasonal along with Harmon’s flagships. Mt. Takhoma Blonde (4.4% ABV) – Brewed with Liberty hops, white wheat and German Pilsner malt, this b eer is light and crisp with a touch of citrus. Mt. Takhoma is a very easy beer to drink and perfect for spring and summer. But don’t let the fact that this is a blonde ale fool you, Mt. Takhoma is packed with beautiful flavor. The brewery serves Mt. Takhoma with an orange slice enhancing the lovely citrus characters. Pinnacle Peak Pale Ale (4.4% ABV) – One of Harmon’s flagship beers, Pinnacle Peak is smooth, light bodied and slightly hoppy with subtle tones of caramel. 2-row malted barley, German malted barley and Palisade and Citra hops balance out the flavor rather nicely. Pinnacle Peak, from what I have been told, is one of the most popular beers served at the brewery. One sip and you will easily see why. Vanilla Porter (5.4% ABV) – A popular winter seasonal, this was my favorite beer of the day. Harmon uses 8 different malts and Madagascar vanilla beans to create this full-bodied beauty. Notes of milk chocolate fade in and out while the vanilla is a constant present. I would drink the Vanilla Porter by itself. It’s just too good to pair with any food. Point Defiance IPA (6.1% ABV) – Okay hop heads, this one is for you! Point defiance IPA is not only one of Harmon’s flagship beers; it is also their most popular. Columbus and Centennial hops along with ten pounds of Amarillo hops creates that beautiful grapefruit aroma and strong hoppy flavor. Point Defiance IPA is a crisp pretty beer that even the most discriminating hop head will fall for. This beer is my hubby’s favorite. T-Town Brown (6.2% ABV) – I enjoyed this brown ale quite a bit. I took a moment to enjoy the lovely vanilla and brown sugar aroma. Both qualities carried over into the flavor. T-Town Brown is medium to full-bodied and has a rich molasses finish. Black Tartan IPA (6.8% ABV) – One of the most interesting beers of the day, the Black Tartan had a lot of different characteristics. Think of a stout and an IPA having a baby. I caught a smoky, dark chocolate flavor but with a hoppy finish. Harmon uses 5 different malted barleys creating a black, full-bodied beer that they brew just in time for St. Patrick’s Day. Order one soon before they run out! Porter Porter (8-9% ABV) – Yes, it’s really called “Porter Porter.” If you like chocolate and coffee, then this winter seasonal is for you. Harmon uses 9 different malted barleys to create this full-bodied, toasty gem. There is a strong, hard “alcoholiness” taste when you first start drinking, but don’t put it down. The hard alcohol taste mellows out by the 2nd or 3rd sip and you end up with a great fireside porter. Want to try some of Harmon’s beautifully crafted brews? You don’t have to go far. Harmon has three locations in Tacoma that also serve a great variety of food dishes; Harmon Brewery & Eatery, The Taproom, and The Hub. Can’t make it to the brewery? 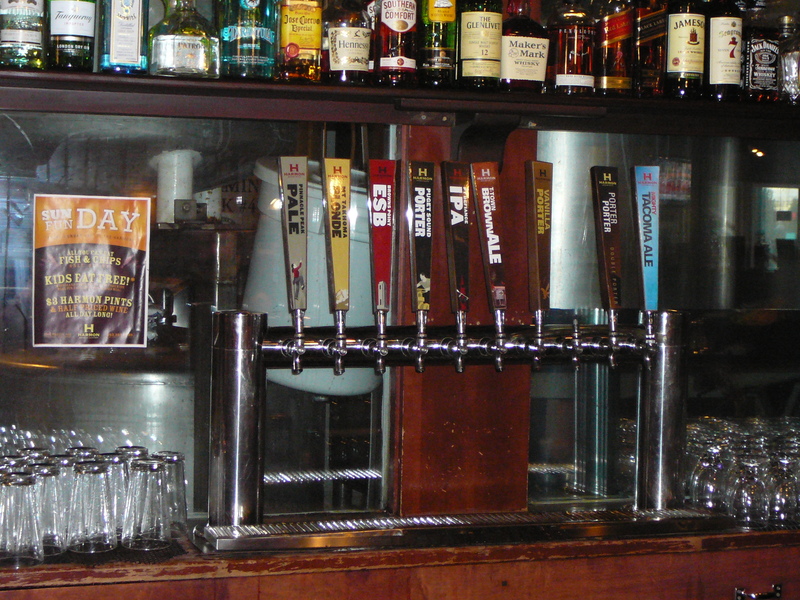 Pubs all over the Puget Sound serve up Harmon’s creations on tap. Want to take it home? Harmon by the bottle can be found in many of your local Puget Sound grocery stores or whole food markets. So really, you have no excuse not to enjoy a Harmon beer. 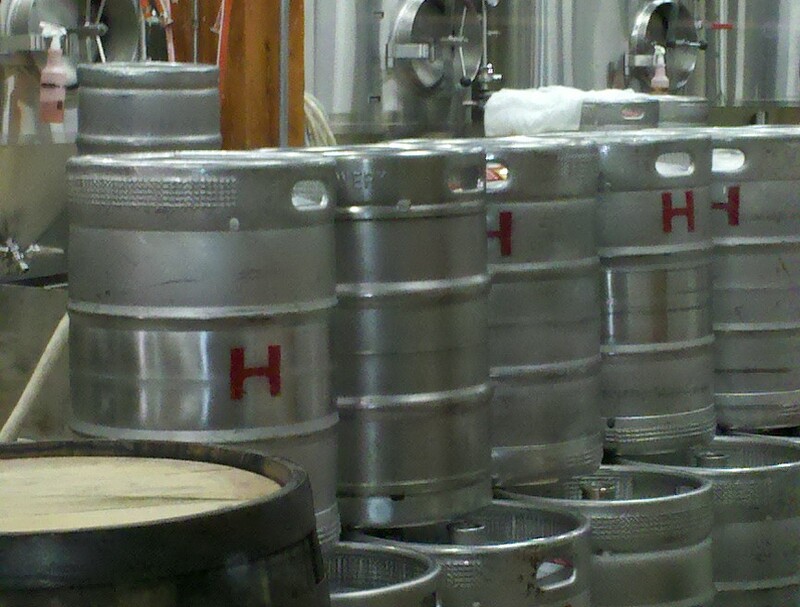 Thanks Liz…great article extolling the virtues of the Harmon Brewing Co. Thanks Carole! I’m glad you liked it! I’m sorry you are having trouble viewing. For some reason iphones don’t view the pages very well.